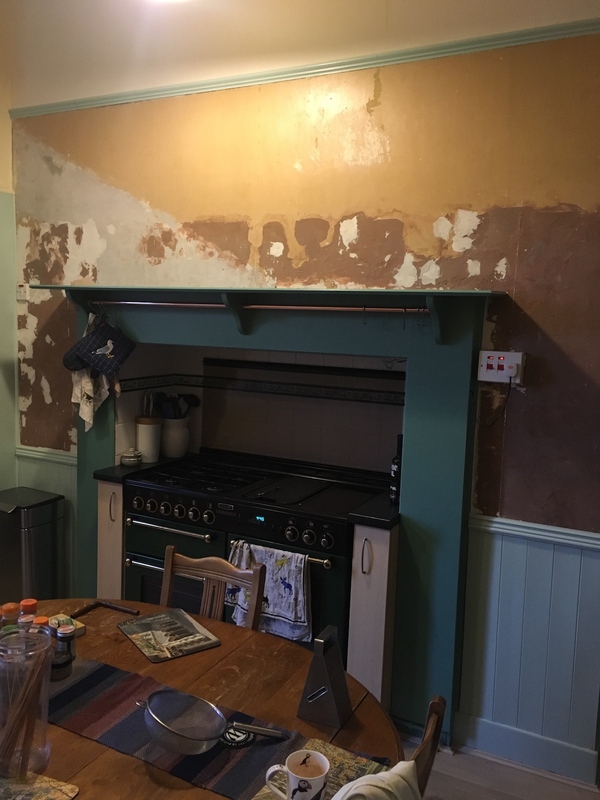 I thought I’d never do it again but this week I felt inspired to remove some wallpaper in our kitchen that was starting to peel off. 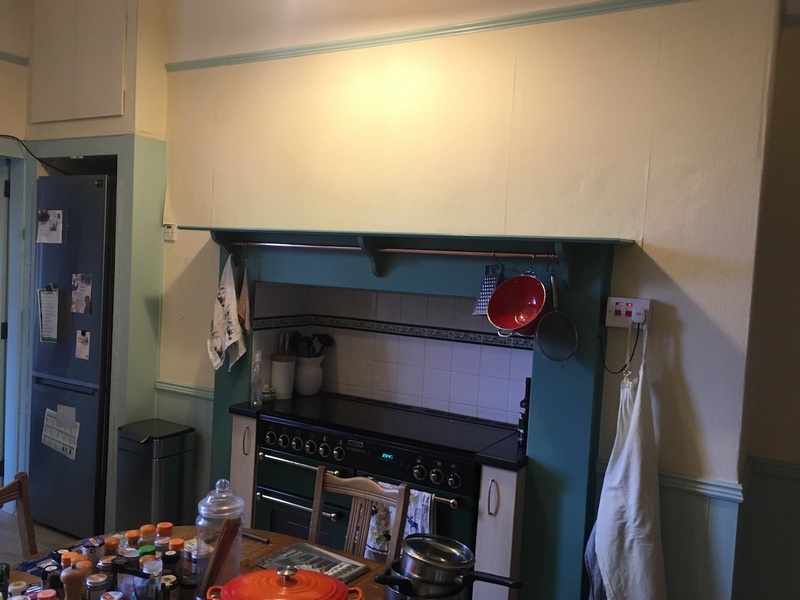 It’s time-consuming to remove old wallpaper and then stressful applying the new stuff because the glue ends up everywhere and the paper invariably tears and then there’s the anxious moment near the end when you’re not sure whether you’ll have enough paper. Thankfully I managed not to glue myself to the wall. It’s a Victorian home with very high ceilings and a lovely range in what was once the fireplace. I only redid the small section above the timber panelling and below the picture rail. 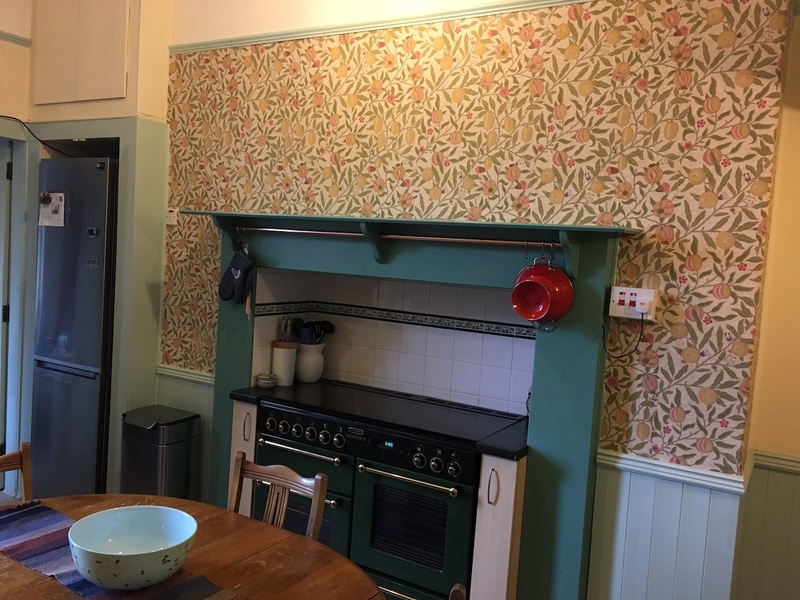 It’s William Morris Fruit wallpaper. I love William Morris. His designs are full of plants and animals which makes me think he appreciated the natural world. Posted in Journal and tagged DIY, wallpaper, wallpapering, William Morris. Bookmark the permalink. Good job, if you ask me. PS Loved your posts from Skye. What a beautiful part of the world you live in! Great choice for a Victorian house. Did you have to match up the patterns or is it one width? I definitely had to match up the patterns. Each roll is about 50cm wide and that wall is a few metres across.